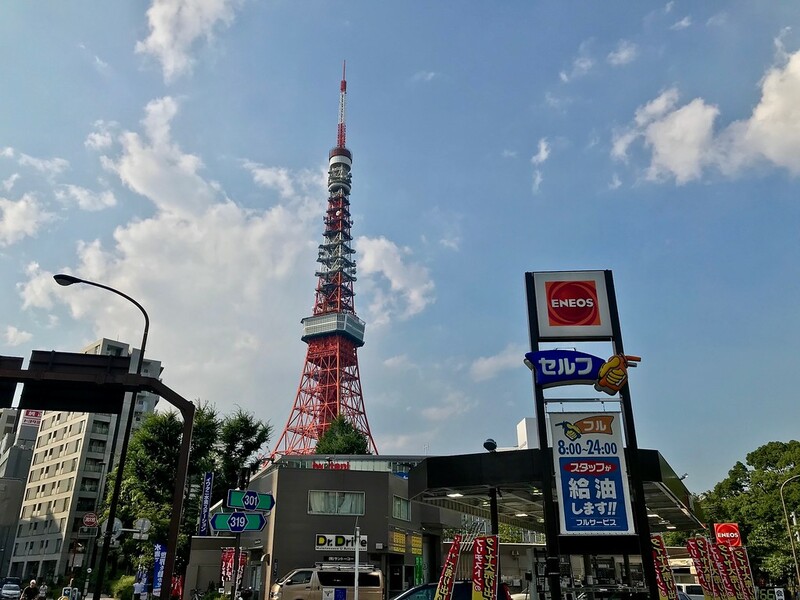 The iconic red and white Tokyo Tower in Minato Ward is Japan's answer to the Eiffel Tower in Paris. Great cityscape views can be had from the observatory - if you don't mind that they don't include the tower itself. With its iconic red and white stripes, Tokyo Tower is Tokyo’s answer to the Eiffel Tower in Paris. Modeled after the latter, Tokyo Tower is the city’s second tallest structure after the Tokyo Skytree at 333 meters high. It's a popular tourist spot – with two observation decks at 150 and 250 meters respectively – but it also serves as an active broadcasting facility. The main deck at 150 meters has some vertigo-inducing glass floor sections where you can look down to the ground below. We don’t recommend this if you have a fear of heights. Tokyo Tower is especially pretty at night when it's illuminated. 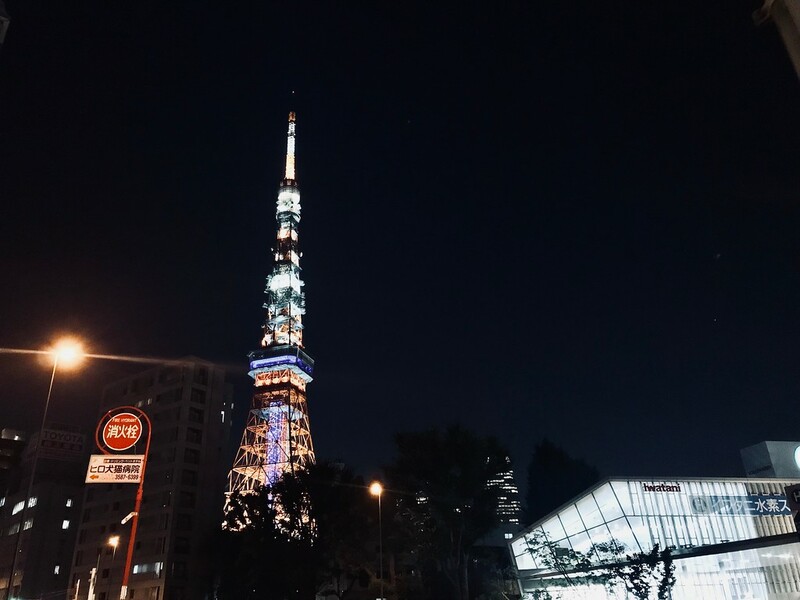 The colours on the tower lighting change according to the season, and nearby Shiba-koen Park is a popular spot for a date night out. 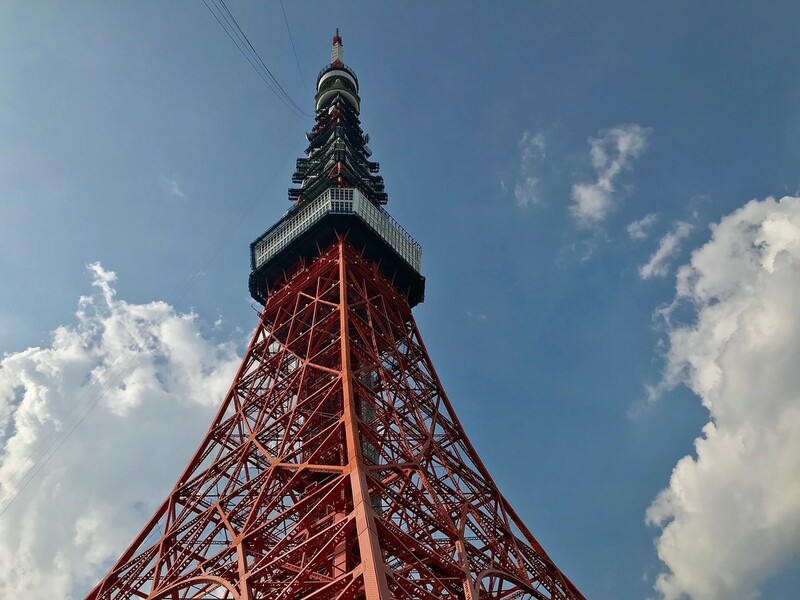 The only snag with going up to the observation deck of the Tokyo Tower is, of course, that you won’t see the iconic red and white tower itself in the city skyline. 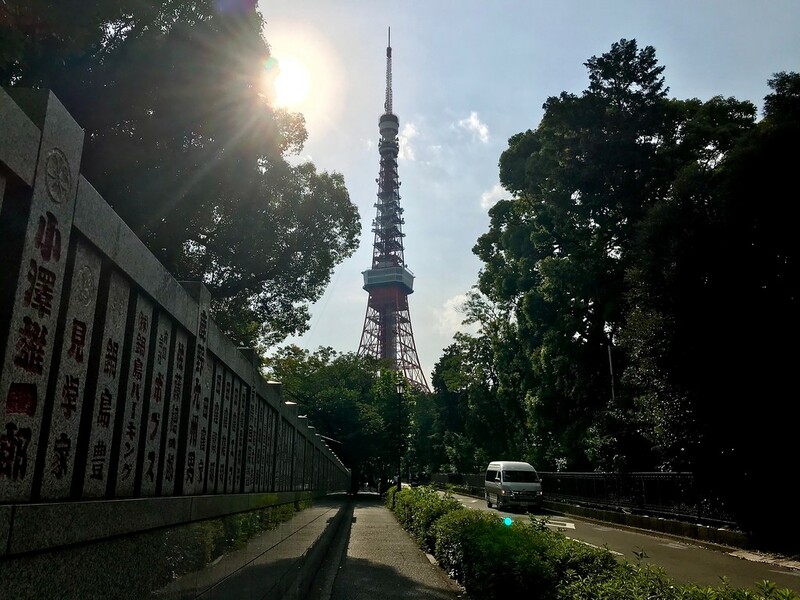 If you'd rather have a metropolitan view that includes this tower, you're better off visiting another observation deck like the Tokyo Skytree or the Mori Building nearby in Roppongi. At present, the Special Observatory and sections of the Main Observatory are closed for reconstruction work until spring 2019. But you can still enjoy the view of Tokyo Tower from afar. Tickets are available to purchase in advance online at Klook. Subway: 5-minute walk from the Akabanebashi exit of Akabanebashi Station on the Toei Oedo line. Train: 15-minute walk from the north exit of Hamamatsucho Station on the JR Yamanote line, and Tokyo Monorail Haneda Airport line. :: Check availability and pricing for hotels near Tokyo Tower on Booking.com or Agoda.com. 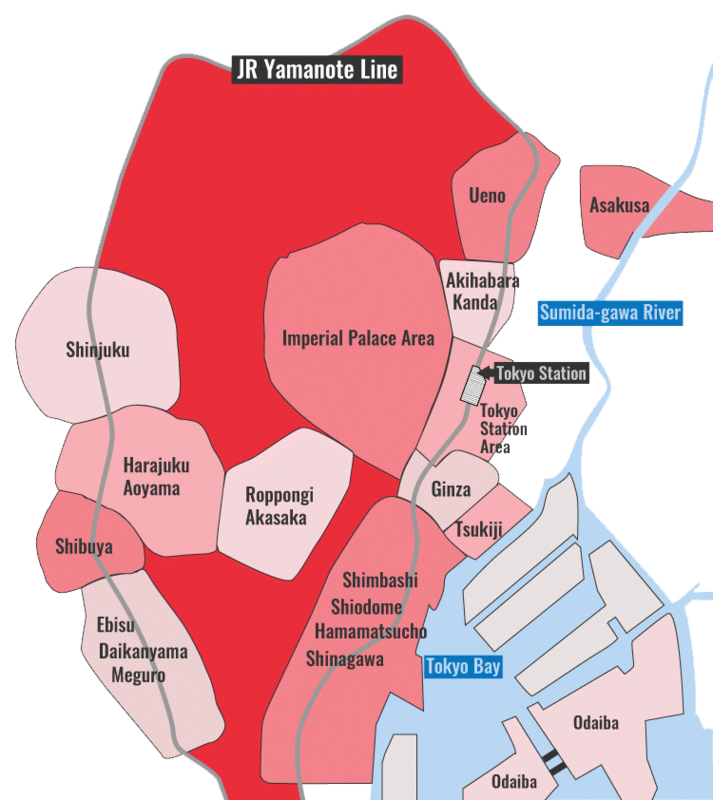 Tokyo Tower is located in Tokyo's Shimbashi, Shiodome, Hamamatsucho and Shinagawa district. See our complete list of things to do in Tokyo's Shimbashi, Shiodome, Hamamatsucho and Shinagawa district, including places to eat, nightlife and places to stay.